Not so fast, Chris Evans. You’re not getting away that easily. 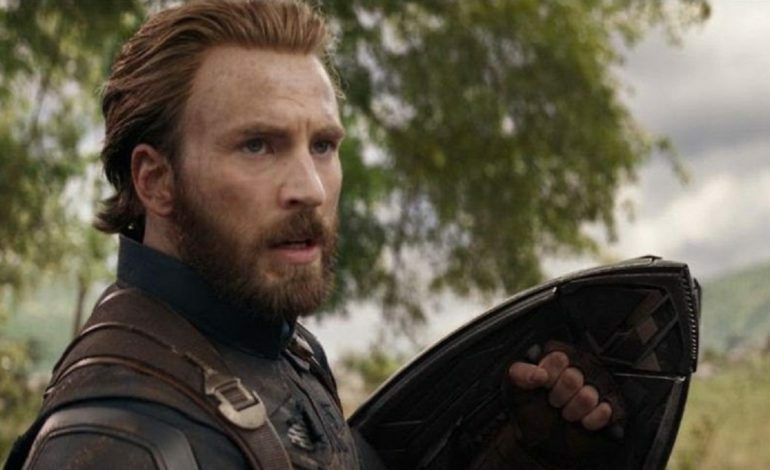 You may remember that Evans implied just a few short weeks ago that his time in the Marvel Cinematic Universe as Captain America may be at an end, tweeting, “Officially wrapped on Avengers 4. It was an emotional day to say the least. Playing this role over the last 8 years has been an honor. To everyone in front of the camera, behind the camera, and in the audience, thank you for the memories! Eternally grateful.” At the time, speculation ran rampant, as the tweet is vague enough to support multiple interpretations. Now it seems that perhaps the simplest explanation has won out; Evans was merely posting an emotional tribute to fans, fellow actors, and the behind-the-scenes crew after a long shoot. In an interview with USA Today, Avengers 4 co-director Joe Russo went on the record with his interpretation of the tweet. “I think it was more emotional for him than it was us because he’s not done yet. I won’t explain what that means but fans will soon understand what I’m talking about.” Since Evans’ contract with Marvel expires after Avengers 4, Russo’s comment is perplexing. If he’s not done yet in the MCU, does that mean he’s handing the shield off to a new Captain America and taking on a leadership role, à la Nick Fury? Will he get a promotion and become Major America (doesn’t have the same ring to it, tbh)? Will he get turned into a zombie and become zombie Steve Rogers? The possibilities are endless. Or will Evans take on a different role entirely, perhaps as a director? Evans has spoken in the past about his desire to shift gears from acting to directing, even making his directorial debut in 2014 with Before We Go. He later walked back his comments about retiring from acting, but perhaps the flame still burns (Fantastic Four reference ftw!) for a chair behind the camera. Keeping Evans associated with the Marvel brand by giving him a big comic book movie to direct would be a great way to build hype for a lesser-known superhero franchise. Or, of course, he could direct the next Captain America movie once he passes the role onto a new actor. Now we continue the waiting game, as the next film in the saga, Avengers 4, hits theaters on May 3, 2019. An official title and trailer reveal is imminent, so keep checking Mxdwn.com for the latest morsel of information as Marvel continues the torturous drip-feed of details that will eventually lead up to discovering Captain America’s fate next May.